The Port of Edmonds operates a 50-ton travelift that can accommodate vessels up to 60 feet in length with 15.5 feet maximum beams. To schedule an appointment call 425-775-4588. 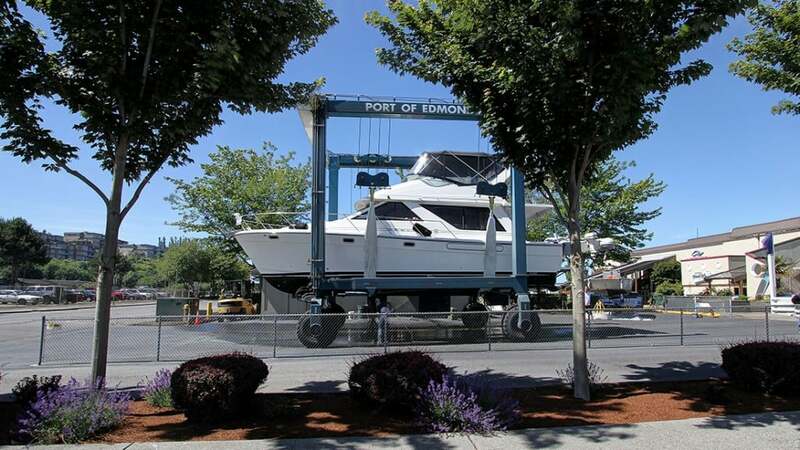 The Port of Edmonds is proud to be a Leadership Certified Clean Boatyard! Boaters have the option to personally work on their vessel, or hire a company from the Port’s commercial vendors list, that is licensed and insured. We are able to continue to provide this facility because our staff and users have been creative in implementing low cost best management practices that allow work to be completed in an environmentally friendly way. Many qualified vendors do boat repair, maintenance, installation of marine equipment and water management systems, retrofits, custom interiors and exteriors, marine sanitation systems, heating systems, shrink wrap, electronic engine controls, hull polishing and waxing, as well as all kinds ofbottom paint including new copper free alternatives. 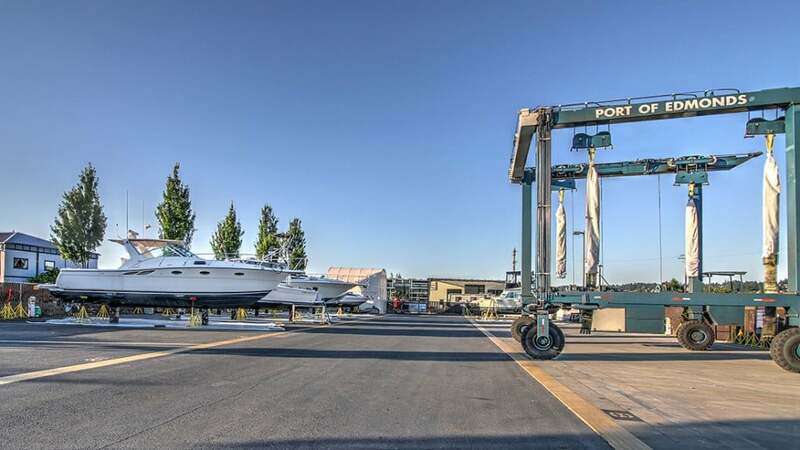 PSYS has been in business and has leased space from the Port since 1985. They are currently located in the northwest corner of the yard. Contact Paul Waits (owner) at 206-660-3630. EYS resides at the entrance to the boatyard, and provides yacht sales and service, diving, vessel management, and sale of some marine retail items. Contact 425-774-8878. Companies who provide the Port with a copy of their liability and hold harmless agreement may perform work in the boatyard or on the docks. The travelift operates from 9am to 3.30pm; the last drop in is 3.00pm, daily.